Whichever you choose to call it, this melon has been a favorite for a really long time. It is believed to have originated in Persia around 2000 BC. Named after its scent when ripe, the muskmelon is highly nutritious. Muskmelon is a significant source of fiber, antioxidant vitamins A& C, and potassium. Its high water content makes it low in calories. 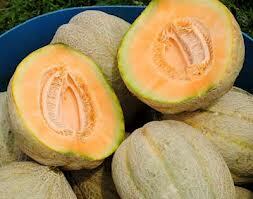 Antioxidants have been found to reduce our risk of cancer and heart disease and muskmelon is packed full of them. Vitamin A has been linked to healthy lungs, eyes, and skin. While assisting our immune system to fight disease, muskmelon also helps the heart beat normally, and aids in maintaining a stable blood pressure. Naturally it is a good choice if you are on a diet thanks to the low calories. But if you want to lose weight it has additional benefits like its ability to cool and energize you as well as lower your water retention. 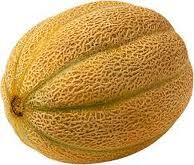 The nutrients that help with energy and water retention in muskmelons also prevent leg cramps. 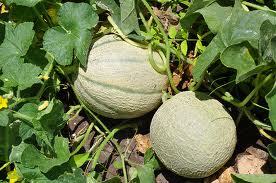 Muskmelon can be used to treat urinary tract infections. They reduce the risk of developing kidney stones. Amazingly, they even help fight insomnia, and serve as a mild anti-depressant!